Joining BPW Australia is a great way for women to meet, network and socialise with other women who want to see gender equality and work positively towards this aim through projects, research and informative meetings and workshops. The BPW Australia eMagazine is now available! March has been a spectacular month of activities for BPW members in Australia. Madesin eMag is the quarterly publication of news from BPW Australia featuring stories about members, providing info on issues important to women and sharing the celebrations of women's achievement. BPW Australia celebrated International Women's Day on 8th March 2019 across the country. We supported the 2019 #BalanceforBetter theme. have fought for, we must remember that it has not been fully reached. they do nothave any, or few, rights because of their gender. BPW Australia members represent a diversity of women's expertise and aspirations across the private, public and non-profit sectors. Influencing. Locally, BPW clubs across Australia have been proactive in women’s affairs for a long time. For the past 70 years, we have supported, encouraged and educated women and girls, succeeding in our lobbying efforts to influence local and national governments to address women’s issues. And, along the way, we enjoy the journey. Growing. BPW has a strong focus on professional and personal development. BPW Australia continues to deliver programs that develop leadership through building women's competence, capacity and confidence in their personal and professional arenas. We also hold regular events to empower women and girls. BPW members have a reputation for being committed, proactive, friendly, professional, smart...and lots of fun. Connecting. To progress our projects, we run events such as seminars, workshops and leadership weekends when we learn, share and enjoy getting to know each other. Our members often attend Regional, National and International events and many have a strong interest in international affairs, preparing resolutions for discussion and approval at BPW's National and International Conferences. BPW Australia takes national action for women’s equality – at work, on boards, in leadership. The root of BPW’s advocacy is embedded in the work with the United Nations. BPW has consultative status with the United Nations Economic and Social Council (ECOSOC) and participatory status with the Council of Europe. Each year a large consortium of self-funded BPW members attends the Convention on the Status of Women in New York. On this stage, the governments of the world report on gender equity progress. Throughout the year, BPW continues its representation at UN Headquarters in New York, Vienna, Geneva; Council of Europe; European Women’s Lobby with nearly thirty BPW representatives to UN regional offices and agencies. "Each woman, as a citizen, must bring to the national policy of her own country, the contribution of forward-looking and constructive thought followed by determined action. Each woman must dedicate herself to protect and promote the interests of all other women in business and the professions." Quote from the BPW Founder Lena Madesin Phillips. BPW International was awarded a Peace Messenger Certificate from UN Secretary-General Javier Perez de Cuellar in 1987. Esther Hymer, BPW International representative at the UN, was named as one of three women playing a significant role in the work of the then, UN Commission by Secretary-General Kofi Annan in 1997. Every year, we mark Equal Pay Day as a way of drawing attention to the wage gap that exists in most countries between women and men. Our aim is to work towards reducing the damaging and substantial income gap between women and men, and to do this we want to encourage and motivate BPW affiliates all over the world to establish an Equal Pay Day in their own country. Each affiliate’s first task is to put this issue on the public agenda by raising awareness about the issue of equal pay and making ‘wages’ a more acceptable subject of discussion. Only then will a country’s leaders be moved to initiate a policy review. Launched on International Women's Day, the Women's Empowerment Principles-Equality Means Business suggests seven steps for companies to take to empower women in the workplace and the marketplace. They were launched by the United Nations Development Fund For Women (UNIFEM, part of UN Women) and the United Nations Global Compact on March 8th, 2010 based on a multi-stakeholder consultative process. The Women’s Empowerment Principles are subtitled Equality Means Business because the full participation of women benefits business and by signing the Statement of Support, CEOs will demonstrate leadership on gender equality and women’s empowerment and will encourage fellow business leaders to do the same. The members of BPW meet in local clubs across Australia and come together at regular BPW Australia National Conferences. BPW New South Wales has active clubs across the state. Each club meets monthly and runs projects to further the aims and objectives of BPW in its local area. The BPW Clubs in NSW are represented on the BPW Australia Board by NSW State Representative, Irene Ross. If there is no club in your area and you would like to start one, you can contact our NSW State Representative. The Northern Territory has a club in Darwin. The Darwin group meets on the last Monday of the each month. Activities include a wide range of interesting seminars and workshops, designed to increase women’s knowledge and skills in a range of areas. BPW is represented in the Northern Territory by a Territory Representative who is also the NT representative on the Board of BPW Australia. BPW Queensland has two active clubs, BPW Caboolture, and BPW North Lakes and two clubs in formation BPW Central QLD and BPW Southside. The BPW members in Queensland are represented on the BPW Australia Board by State Representative, Trish Springsteen. Trish has been a member of BPW for 6 years and is looking forward to working with the Queensland clubs to encourage membership, personal growth, advocacy and networking. 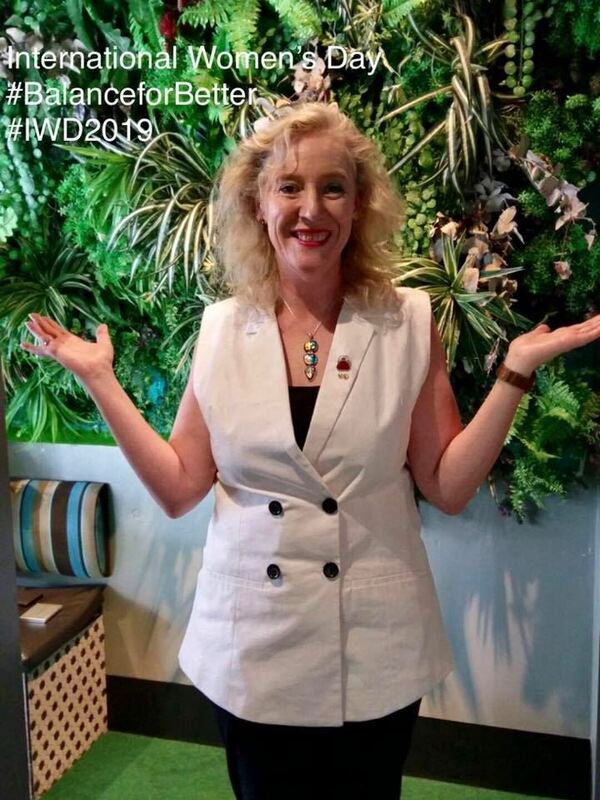 Trish is a member of BPW Caboolture and loves the opportunities that BPW offers to connect with like minded women. There are two clubs active in South Australia, BPW Adelaide and BPW Heysen If you have queries concerning BPW in South Australia, including whether a club might be established in your town,contact us through the website. Victoria has five active clubs across the state. Each club provides its members with strong support, mentoring, networking and personal development though their meetings, events and projects.Our clubs also meet together three times a year for the Victoria State Club Meetings to work together on issues important to our membership. A bi-annual State Gathering was also held, the next being 2019. This event brought members together to network, socialize, gain skills, improve awareness of BPW’s Aims and Objective, built self-confidence and maximised the future potential of members. 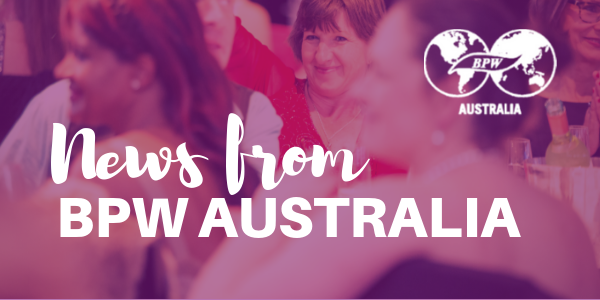 Sign up our BPW newsletter to recieve news updates on our projects, partners, clubs, events and groups across Australia and beyond... We look forward to welcoming you on board!